Obama administration is preparing to release Jonathan Pollard in hops to smooth relations with Israel, reports The Wall Street Journal. The Obama administration is preparing to release Jonathan Pollard, American officials said Friday, according to The Wall Street Journal. Some of the officials expressed hope the move will smooth relations with Israel in the wake of the Iran nuclear deal, the newspaper reported. Pollard, who was arrested on charges of spying for Israel in 1985 and later sentenced to life in prison, began his 30th year in jail this past November. 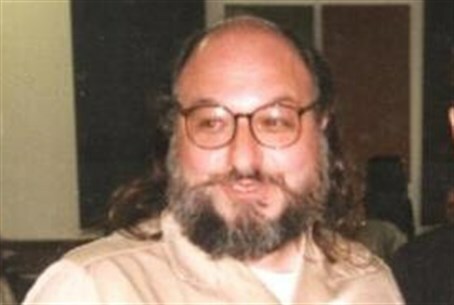 At that time, the Parole Board of the Justice Department rejected Pollard's parole, with senior U.S. officials involved in the case writing to President Barack Obama to complain that the decision was "deeply flawed". According to The Wall Street Journal report, some U.S. officials are pushing for Pollard’s release in a matter of weeks. Others expect it could take months, possibly until his parole consideration date in November, as was reported last week. Some officials strongly denied Friday there was any link between the Iran deal and Pollard’s prospective release, saying that any release decision would be made by the U.S. Parole Commission. A White House spokesman referred questions to the Justice Department, where a spokesman declined to comment on a matter which may be before the Parole Commission. Similarly, a National Security Council spokesman was emphatic that the timing of the release was not part of any deal, AFP reported. "Mr. Pollard's status will be determined by the United States Parole Commission according to standard procedures," Alistair Baskey said. "There is absolutely zero linkage between Mr. Pollard's status and foreign policy considerations," he stressed. Pollard has been suffering from poor health - particularly over the past year - and has recently become the subject of a high-profile campaign for his release. Under sentencing laws at the time he was convicted, Pollard has to be considered for parole after 30 years. The Bureau of Prisons website currently lists his possible release date as November 21, which is the date the federal parole commission is slated to consider whether to end his sentence.